They do look nice and good pricing. Also props to Shankster for finding a blade plug opportunity in this. Wow! They are upping their game. That bag rockets to the top of my list. 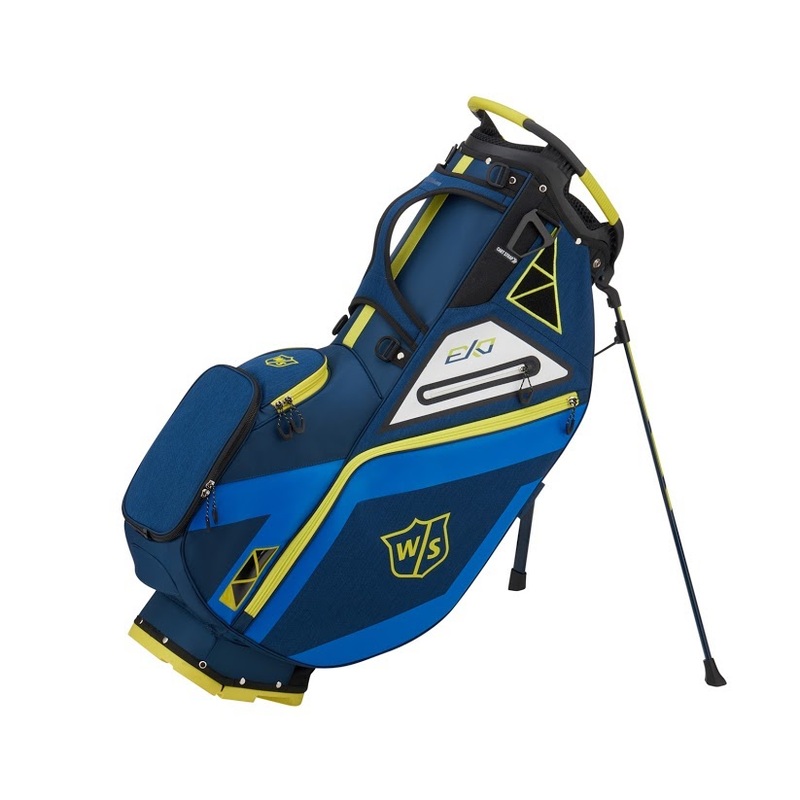 Price point is awesome for what appears to be a solid top end cart bag. My complaint is the color schemes. 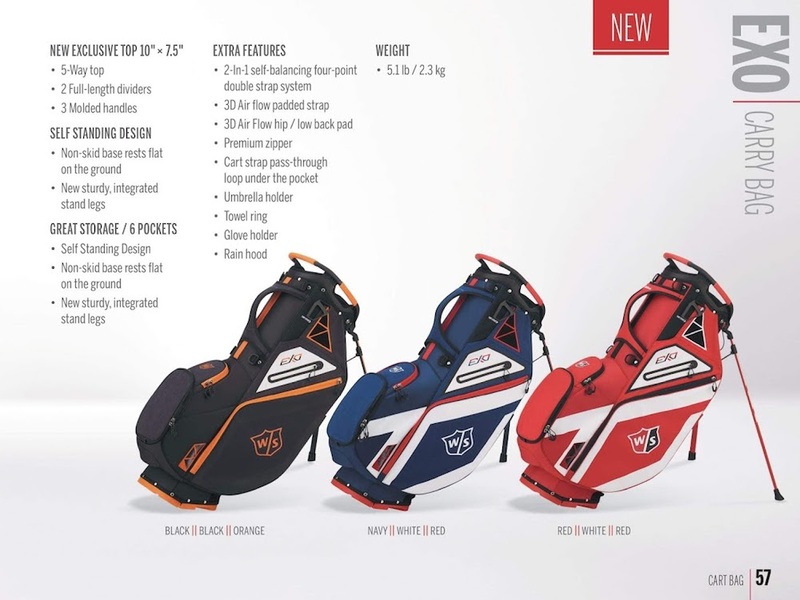 I love the schemes for the stand bags, but the cart bag ones are so boring. 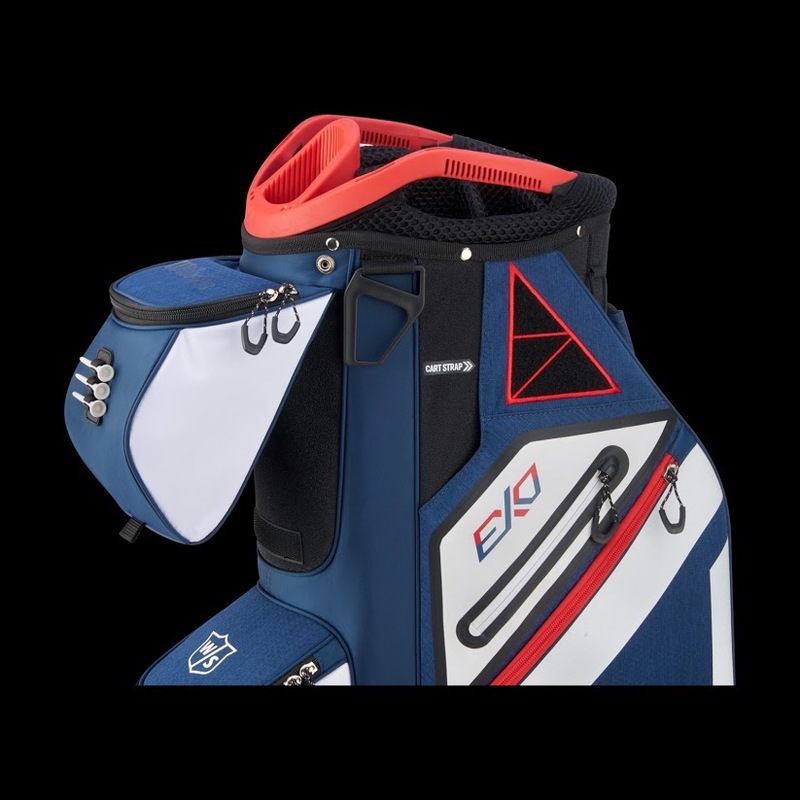 I'd game that Black/Black/Orange, Blue/Royal/Yellow, or Red/White/Red on launch day if they were available, but the only card bag combo I like is that Blue/Royal. 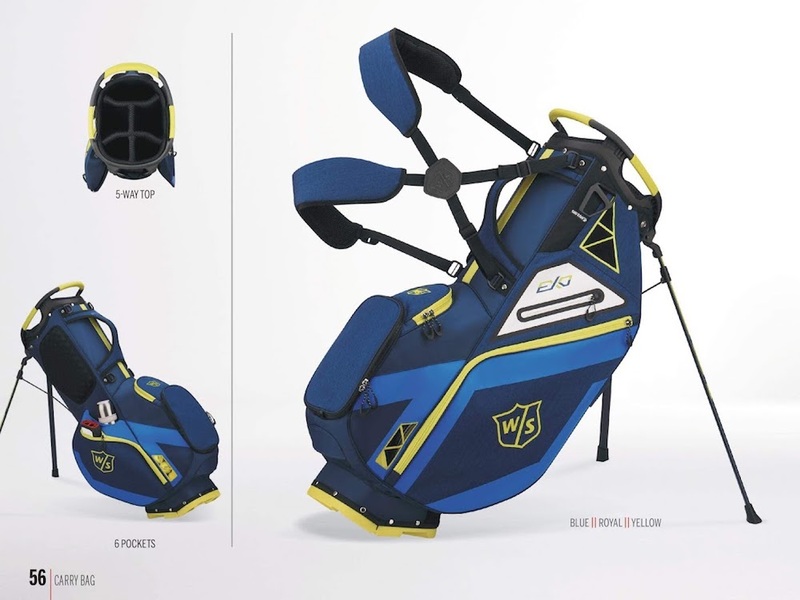 I'm in the market for a new bag but I'm disappointed what I'm seeing in these new Wilson designs. Mostly the color selection - perhaps the design/features somewhat. 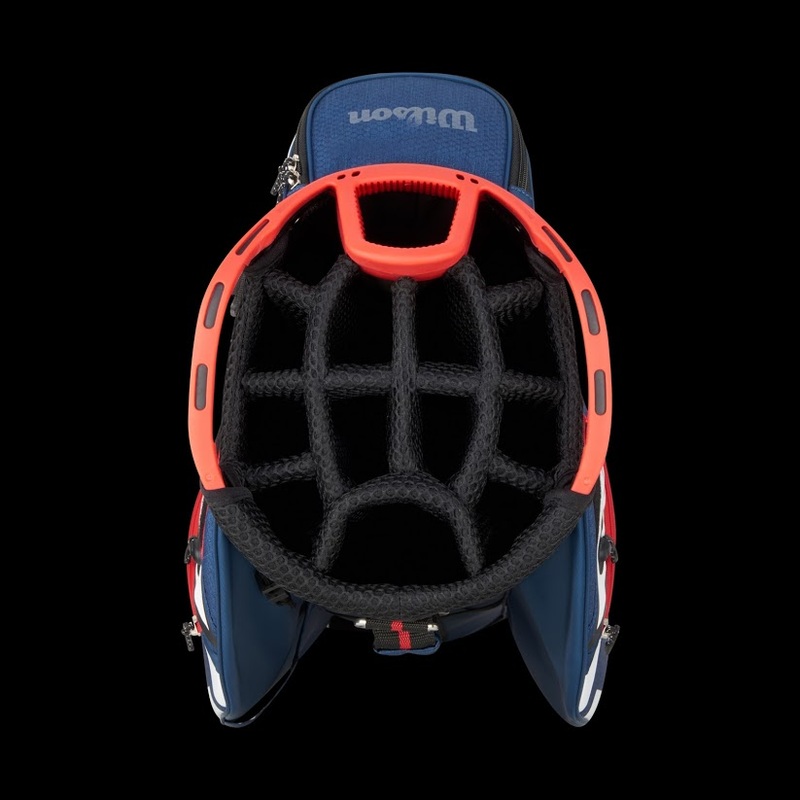 I currently carry a 5 year old Wilson stand bag and have been very pleased with it. I don't know the model name. I don't carry/walk with a bag but prefer a carry bag because of the size - weight and they fit my Sun Mountain cart well. They're also easier to travel with. My first choice is still either the Sun Mountain 4.5 LS-14w or one of the 3.5 LS bags. They're more expensive but IMO better designed and better engineered. Decent price point and have the look of a well functioning bag. Some nice accessories and tweaks added that look like they could be helpful. The look and colors don't stand out to me and in some versions seem a little too busy for my taste. The profiles look pretty standard. I've never geeked out about bags too much, but these seem like a solid enough offering if it hits your aesthetic. I mean, the bag is probably the most visible piece of equipment on the course, I think I rather pay more for a little more aesthetics. 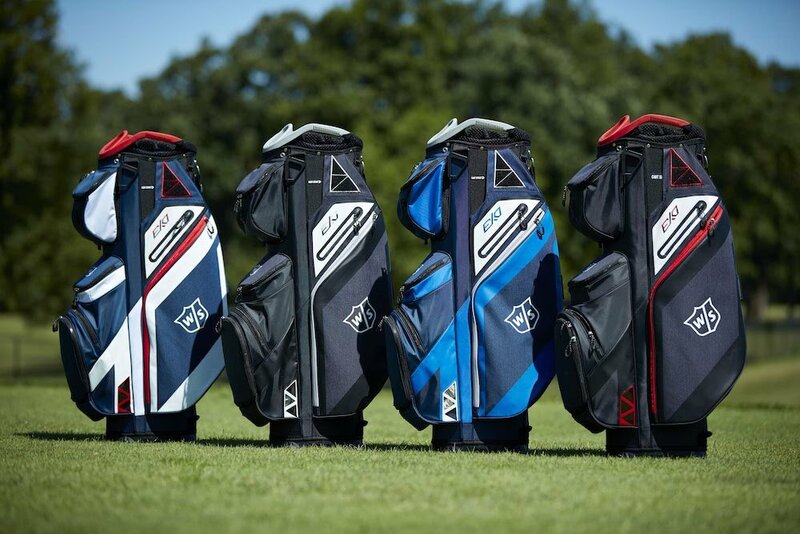 I really like the brown â€œleatherâ€ Wilson bag... now that would look BA with some of those said blades in it... yes sir. I've had my Wilson Staff Nexus bag for a couple of years now, and I love it. Easy to carry to the range, and it fits nicely on my Sun Mountain MicroCart. I agree with others; I'm not very enamored with the colors. They are just a little too busy in the color combos for me. The black/orange isn't bad though. 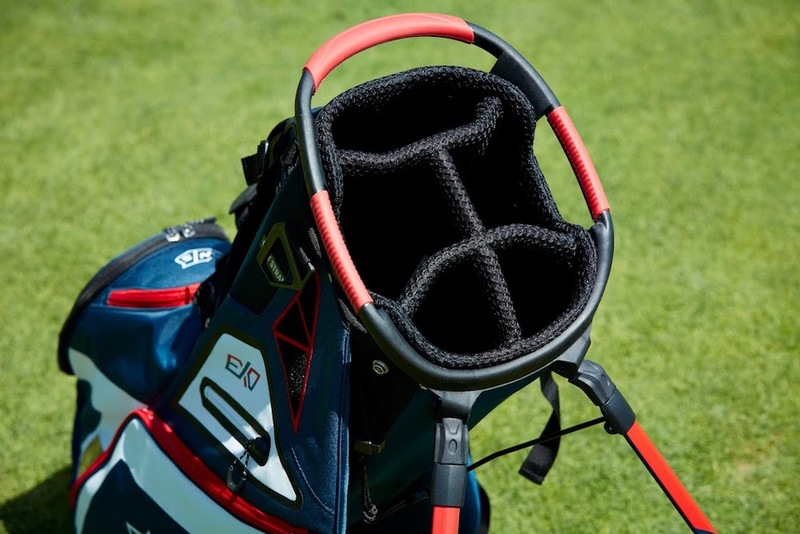 Does that top pocket on the cart bag come off, or is the pic just showing that the cart strap goes underneath it? Those look great!!! I'd take one! but the pudding needs to be tested for the proof. 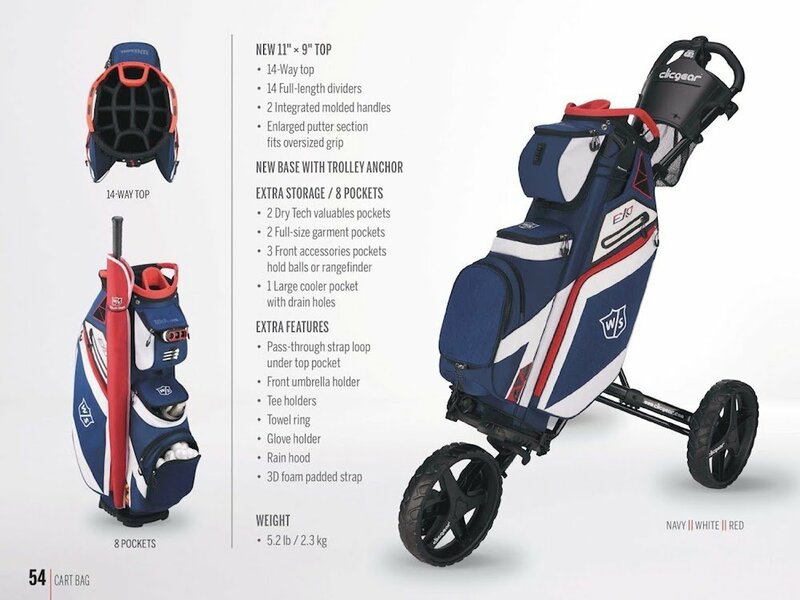 I see in the ad for the stand bag,they use the word trolley meaning these are for the European market. Are these being released in NA? Like your typical beginner golfer, I selected my first balls based on the fact that I was likely to lose a lot of them. So for my first round I grabbed 2 boxes of Nitro distance balls at Wally World for 5 bucks per dozen. Yup, lost most of â€˜em. But at least I realized pretty quickly that balls sure do make a difference. 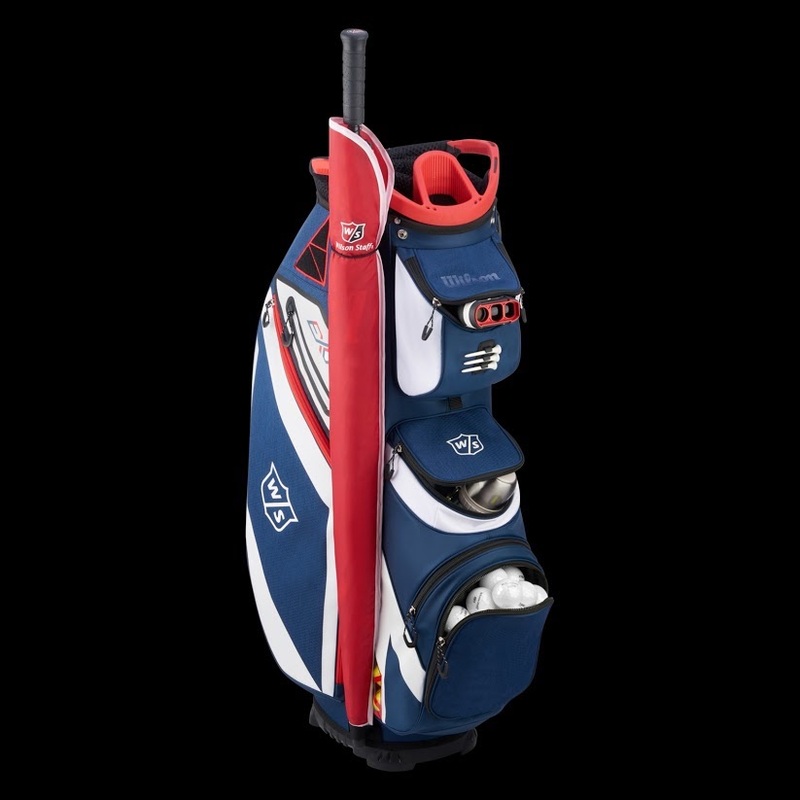 So I tested several balls as I went along, as my game improved, so did my ball selection until I finally ended up choosing the Srixon Z Star, which is my current gamer, and has been since the middle of last year. Enter the new Wilson Staff Duo Soft Spin (SSP), promising extra spin around the green and a super soft feel. As a die hard Wilson Staff fan (see my signature for the proof) I just had to give these balls a shot. They are a 3 piece ball with an Ionomer cover. That super soft feel part, holy moly. The balls are only 40 compression, so when you hit â€˜em good, you definitely get a rubbery feedback, so if you don't like that sort of a feel, you'll hate these balls. I just so happen to like it; and around the greens it actually provides me with great feedback and improves my touch, but we'll get to that in a sec. Off the tee on hole 1 at the oaks in Somersworth NH, I hit a 253 yard bomb with my 3 wood. The ball went dead straight over the bunkers that cross the fairway, the ball went high enough that my friends and I lost it in the sky and never saw it down. But as I pulled up I saw that my ball had almost rolled through the fairway but stopped about a foot short, leaving me a lob wedge into the par 4 for my second. Don't get too excited, I ended up 3 putting for a bogie. But this leads me well into the next part. On approach shots, I had no trouble getting the ball to stop quickly on a course that in notorious for ridiculously fast greens. On hole 11, a par 5 I had another lob wedge into a green with the pin at the front of the green. I caught the fringe and the ball checked up less than a foot from the pin for a tap in birdie. The ball provided plenty of spin around the green. I had multiple chips that I felt I hit way too hard but the ball checked up quick enough to keep me 10 feet or less from the pin. And the feel was fantastic, I could really tell if I had hit the ball with the right touch. Off the putter was great as well. I did some of my best putting ever during my first round with this ball. 35 putts, when I average in the 40s on a normal day. The ball felt soft but borderline solid off the putter face with a nice quiet sound, no clicking from this ball. This ball will definitely be staying in my bag for a while for further testing. But so far I am a huge fan. Plus, now I can say I play all Wilson everythang. Check back for updates. Gotta say gang, we're really excited to bring this one to you. There's been more buzz this spring about the Wilson Staff C300 and C300 Forged irons on these pages than any other Wilson offering that I can remember, and for good reason. They do represent one of the more intriguing iron releases of 2018. Both irons fall into the Game Improvement category, with the C300 offering more distance and forgiveness and the C300 Forged offering a more compact frame, bit more pop than a better player's cavity back and all the forged goodness you could possibly want. We're looking for four of you to do that voodoo that you do and give these things a good MyGolfSpy Forum going over. We need two avid golfers to test and review (and keep) a set of the C300's, and two more to do the same thing with the C300 Forged. As always, we want to make sure you're ready to tackle the challenge of being a MyGolfSpy tester. 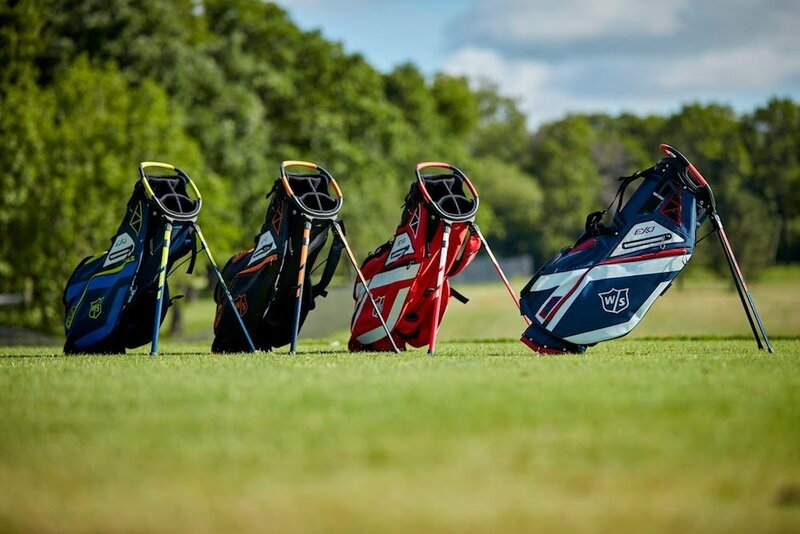 You'll be asked to spend a solid two months working with these irons on both the practice range and on the course. You'll also be asked to write a two stage review (we'll provide you with a template) and provide your fellow Forum members with a detailed, thoughtful and - most importantly - honest evaluation of the C300's. 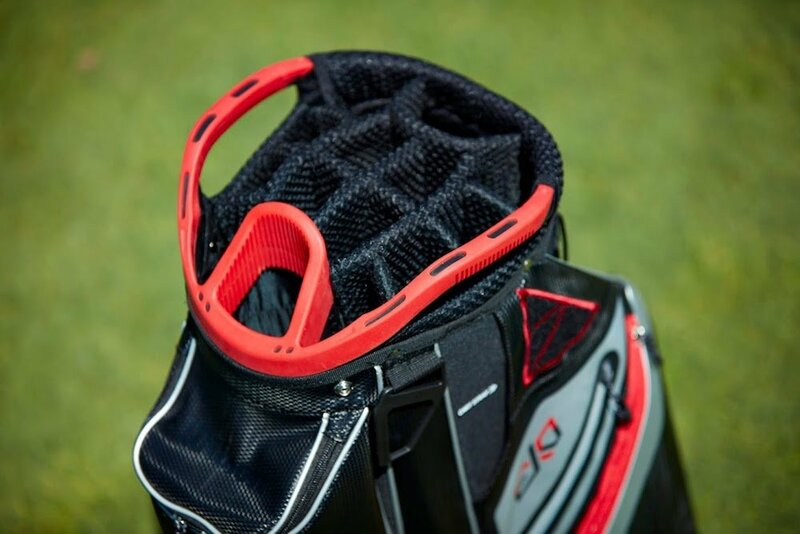 This review opportunity is open to any avid golfer/dedicated reviewer in the US, Canada or the UK. We'll be selecting two of you to review the C300's and two others to review the C300 Forged. We'll be announcing the testers in this thread next week, so make sure to check back! Thanks, and best of luck!! !